The Adventures of Tintin: The Secret of the Unicorn 1hr. 47min. 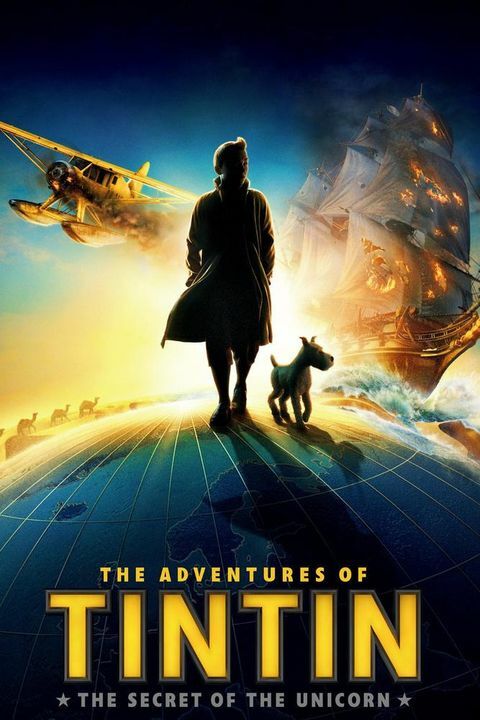 Intrepid young reporter Tintin and his loyal dog Snowy are thrust into a world of high adventure when they discover a ship carrying an explosive secret. As Tintin is drawn into a centuries-old mystery, Ivan Ivanovitch Sakharine suspects him of stealing a priceless treasure. Tintin and Snowy, with the help of salty, cantankerous Captain Haddock, and bumbling detectives Thompson & Thomson, travel half the world, one step ahead of their enemies as Tintin endeavors to find The Unicorn, a sunken ship that may hold a vast fortune, but also an ancient curse.